The mission was birthed out of the heart of a local minister, the Reverend James Alexander Bryan, who came to Birmingham in 1889 to pastor the Third Avenue Presbyterian Church, where he remained as pastor until his death in 1941. Shortly before his death, “Brother” Bryan made a request to a few of his closest friends to establish a place that would take the poor and down-trodden men of Birmingham off the streets and give them food, shelter and care. An in-depth look at his life and remarkable ministry can be read in his biography, Religion in Shoes. Recently I came across a little book of Brother Bryan’s sermons preached in 1927. His heart for kingdom ministry is seen in the foreword: “I prayerfully and gratefully submit these few sermons to the public, hoping that anyone who reads them may be helped in his Christian life. This is done, I know, for God’s glory.” The following is his sermon titled “The Fruits of the Resurrection of Christ.” I hope you are blessed, and that you are helped in your Christian life., to the glory of God. The resurrection of Christ is the cornerstone of the Christian’s faith. It is one of the undeniable facts in the history of the world, because it is the best witnessed fact in all history, sacred or profane. That Christ was dead even scientists would not deny. After the thrust of a Gentile spear, blood and water came out of Christ’s heart. which, to sensible people, was the death certificate of a criminal. At the request of friends, His body was placed in Joseph’s new tomb, in Joseph’s garden. His resurrection was prophesied, even foretold by Christ Himself. The resurrection of Christ is emphasized in the teachings of the New Testament in the startling fact that it is recorded over one hundred times. That Christ rose from the dead is borne by witnesses numbering over six hundred people. Unbiased, unbought, truthful witnesses. Heaven testified to His resurrection like it dis His birth, the angel stood at the empty tomb, and said to the women “Ye seek Jesus of Nazareth, who was crucified, He is not here, He is risen, come see the place where the Lord lay.” Heavenly witnesses, earthly witnesses. We are to study this morning not only the facts of the resurrection, but the fruits of the resurrection of our Lord. One fruit of His resurrection is that it proved His Deity; anyone who could triumph over death, in His only power, over the tomb with its darkness, command angels to come from Heaven and move a grave stone, enormous in size and weight, was none less than the Son of God, truthfully, God Himself. Secondly, another fruit of the resurrection of Christ is the change of the Sabbath from the seventh day to the first day of the week. The only day on which He rose was to those who loved Him a day of worship. That evening you find the apostles and disciples in the upper room; they were worshipping by prayer. In their worship Christ appears to them. Remember that this is the first day of the week and that they were worshipping the risen Christ, and that day has continued to be the Christian’s Sabbath. The next first day of the week you will find the Christian church worshipping the same risen Lord. Paul urges the Corinthian Christians in his inspired letter to them to lay aside on the first day of the week by a act of worship, gifts as God had prospered them, to be given in the name of the Lord, to the poor. This day continues in New Testament history. It is frequently called the first day of the week, and also the Lord’s Day. When John was on the Island of Patamos (sic) he was in the spirit of the Lord’s Day, he was in the attitude of worship. The resurrection of Christ is the cause for this undeniable fact. Third, another fruit of the resurrection of Christ is the final resurrection of the body of believers in Him. Paul in writing to us in his letter to the Thessalonians distinctly says: “I would not have you to be ignorant, brethren, concerning them who are asleep, that ye sorrow not even as others that have no hope, for if we believe that Jesus dies and rose again from the dead, even so them also who sleep in Jesus, will God bring with Him.” This is the most comforting fruit of the resurrection of Christ because Christ rose, our loved ones will rise, our bodies will be like Christ’s in Heaven. Spiritual, immortal, incorruptible, unchangeable, recognizable bodies. We read in the Book of Acts that the apostles gave witness of the great of the resurrection of Christ, our belief in that helps us to die for Christ, to be martyrs for His Kingdom. If Christ be not risen our faith is in vain, our preaching is forceless, He could not forgive or sins. The three outstanding fundamental facts in world history, in the history of the church, in God are these: The virgin birth of Christ, His death on the cross for our sins, His resurrection from the tomb. All the blessings that we have, spiritual or material, are fruits of this great fact. We live in dangerous times in the West. The attacks of ISIS and radical Islamists around the world are real. These attacks are born out of a misguided understanding of Christianity and the Word of God. 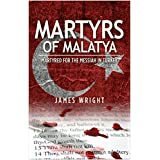 These misunderstandings are brought to light in this excellent biographical work on the martyrdom of three men in eastern Turkey city of Malatya. This is the story of Necati, Uğur, and Tilmann, three men who gave their lives to Christ and for Christ in the land they loved. James Wright (pen name) gives to us a valuable tool for evangelism to Muslims through the testimonies of these men. First, he reveals the key tenets of Islam against Christianity. Many in the West think the Islamic animosity is founded solely on the Crusades centuries ago where ruthless men took the lives of thousands of Muslims “in the name of Christ.” However, the Crusades are only mentioned once in this book, and then indirectly. The major disagreements of Islam over against the Christian comes from what they are taught – a teaching that is incorrect and if compared to the Scriptures are found to be so. They are taught that the Scriptures have been changed from the original writings, that Christians worship three gods, and that the Christians real agenda in missions is to “undermine the political and social unity of the state by setting religious sects against one another and partnering with the PKK and Israel” (p. 184 – part of one of the murderers “defense”). These are things that children are taught in their textbooks (at least the first two) at an early age. Radical Islam would take these things to an extreme and embrace the falsehood of evil intentions of missionaries from the West, as illustrated by the “onion” (p. 96 – you will need to see for yourself!). Wright also offers a good historical background for how these beliefs came to be. As part of that history, however, Wright shows how the seeds of faith were planted along the way in the very region where this tragic event took place. Wright also shows how these men came to faith in Christ. Tilmann, being a German, had what we might consider a more typical testimony whose heart for the Muslims was formed while in Indonesia and further by his future wife. Necati, a Turk, came to faith in Christ as a young woman patiently listened to his questions about Christianity and led him to Christ. She also became his wife! And Uğur, a Turk, who followed Christ after a self-study about Christ and the Word of God where he determined that what he had been taught as a child about both were incorrect. In all three men, we find the power of God at work. I received a copy of this book free of charge from the publisher for the purpose of an honest review. We lack confidence because we look for confidence in the wrong place (results/response; trust in method alone and when method doesn’t work, we think we’ve failed.) We lack courage because we don’t see results – but remember, the results are God’s! We sow (live/tell the gospel); We water (pray); and We believe the promise (God will give the increase). I am starting a study with some of my people and plan to follow up with a neighborhood meeting at a later time. If you are in the West Hoover/Bessemer/McCalla area and are interested, please let me know. I ran across my notes from this sermon by Conrad Mbewe at our youth conference some years ago. I was again encouraged and exhorted as I read it this morning. We make choices in life – our place of education, our life partner, where to attend church, whether to come to this camp, etc. What makes us decide one thing over another? Surely, it is because we put weight upon the importance of certain things that inform our choice. Why have you decided that to be here this week is the best for you? Why was it a better choice for me to cross the globe to be here rather than be with my family at home? What makes this week so important? It is in answering this question that we see the importance of being “partners in the gospel.” It is because of this that we will shed any number of perceived responsibilities. It is because of this that Paul wrote this epistle, this letter written from prison. Yet, we do not get the impression that Paul thought his imprisonment unfair. In fact, it is a joyful letter, so joyful that we forget that he was in prison. Why the joy? Because of his joy in the gospel of the Lord Jesus Christ. That is what excited him. But on this occasion he was further excited by the partnership he had with the Philippians in the gospel (v. 5). Why should Paul be excited about it? 1. Because of the fact of the Fall. We need to realize as we live our lives that human beings are not as they were when God first created Adam and Eve. Something terrible happened sometime. The historic event of the Fall is found in Genesis 3:1-7. Eve, making her way around the Garden, was engaged in conversation with a serpent used by Satan. They took and they ate of the fruit. The result can be described as being blinded. That is true today. We will blindly accept any teaching today just so that we can explain away the reality that God is and that He holds us accountable. The Fall can also be described by the term totally depraved. We are polluted, always going in the opposite direction rather than the way that God wants us to go. Because of this, we deserve His wrath and His anger. Because He is a just and holy God, He must, He must, He must punish sin. Evidence of the Fall is all around us. We read it in the papers and see it on the news daily. Why is this? Because some people are better than others? No, that is not it at all. It is because we are fallen creatures. The darkness and death that surrounds us in our communities lies within our hearts. We still want to passionately pursue that which is destructive. Why? Because we are born a fallen creature. God cannot accept us into heaven with that kind of heart because we would immediately want to dethrone Him. That describes our fallenness. 2. God’s rescue mission. Thankfully, God has dealt with it! He has come into the situation with good news – the gospel. Genesis 3 does not end without God bringing in this good news (Gen. 3:15). In the midst of cursing the serpent, He announces the Messiah. At the time this came, they could not appreciate fully what God was saying. But by the time of the New Testament it is clear. God said that He was going to send His Son to destroy the serpent. He would do whatever it takes, including the Cross. Satan would fight against Him, but Satan would be crushed. This is the good news, the gospel, of John 3:16. Stand back for a moment and recognize this. In this dark and hopeless world, God has not sat back but He has acted with the gospel. He brought this news. He has given us the Bible. He has spoken in the Bible. If He had not spoken, we could worship the birds in the sky or beautiful flowers but we could never have known and understood His forgiveness. But when we read His Word we understand the truth and the way of His forgiveness. He has given us His Son, His Word, and also His Spirit to enlighten our darkened minds. Any time a person turns from sin in true repentance to Christ by faith it is an act of God Himself. Thus, we abandon sin and cling to the Cross. 3. The need to get this good news to the world. Paul was excited about this partnership with the Philippians because of the need to get the gospel to every human being. He was imprisoned and persecuted for doing this very thing, for proclaiming that in the midst of this darkness, God has sent His Son to rescue you from the darkness. Some did not want to hear this and threw him into prison. This is the way that God has always worked. In the Old Testament, He called and sent His prophets. He told them to go and proclaim His message to the people. In the New Testament, He called and sent His apostles to proclaim His Son to the nations. Today, others know this calling and with both hands they hold the plow and throw all of their weight into the work of the gospel. Some stay home, some go abroad, but all follow God’s calling to proclaim His message of saving sinners through His Son Jesus Christ. I have the privilege of serving the community of Lakeshore, MS this week along with three of our men from Grace Covenant. If you are not familiar with Rebuild Lakeshore ministry I encourage you to check out the site. Lakeshore Baptist, under the leadership of their pastor Don Elbourne, began rebuilding this area devastated by Hurricane Katrina. Every members’ home was destroyed as were most of the homes in Lakeshore. Now, eight years later, they are rebuilding their church. Teams are still needed to complete not only this project but others as well. Pray for us this week – and pray how you and your church might participate in Rebuild Lakeshore.